The 38th Boundary Elements and Meshless Reduction Methods took place in the New Forest, home of the Wessex Institute of Technology. The meeting was organised by the University of Mississippi, represented by Professor Alex H Cheng and the Wessex Institute represented by Professor Carlos A. Brebbia. 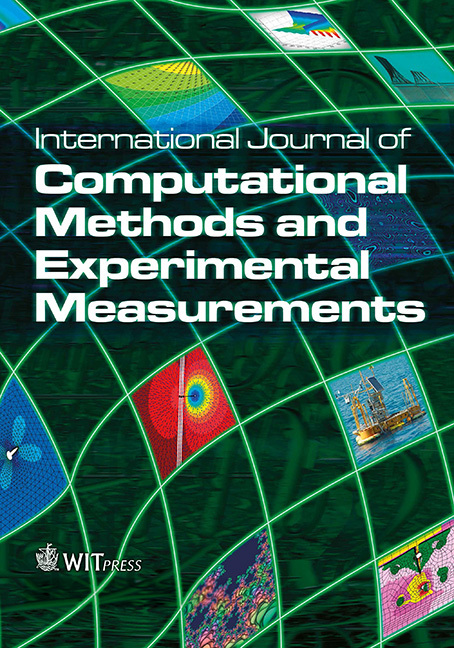 The conference was also supported by the International Journal of Engineering Analysis using Boundary Elements and the International Journal of Computational Methods and Experimental Measurements. The resulting book is part of the WIT Transactions on Modelling and simulation, Volume 61. 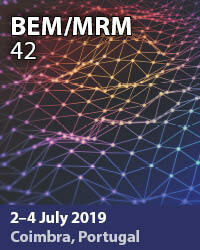 The continuous success of these conferences, since the first meeting took place in Southampton in 1978, is confirmation of the strength of the research carried out in boundary elements by many research groups all over the world. The objective of the Conference is to present and discuss the latest research on the reduction on discretization of mesh to improve in the performance of classical methods such as finite elements. Of particular interest is the dissemination of new tools for the simulation of industrial problems. This has led to the possibility of solving accurately a large range of problems including those with infinite domains or extreme conditions, such as problems in fracture mechanics and crack propagation, stress or other singularities, rapidly varying variables, problems with moving boundaries or interfaces and many others. The conference was opened by Carlos Brebbia who explained the importance of the meeting for the Wessex Institute. The original research on Boundary elements started by his Group at Southampton University in 1978 laid the foundations for establishing WIT back in 1986. BEM research is still the basis of WIT collaboration with industry and the software tools continued to be developed in response to the user demands. This drives the advanced research carried out at the Institute. Other activities of interest at the Institute – Carlos explained – are a series of interdisciplinary areas, including Eco and Heritage architecture, a field in which the Institute has carried out restoration work in a large Georgian property which was the first WIT premises in Southampton. Because of this and other interdisciplinary activities including many conferences and courses, the publishing arm of the Institute (WIT Press) is launching a series of WIT Journals designed to cover the events run by WIT. The aim is for all those Journals to be Open Access to better serve the international community. Carlos then referred to other different activities undertaken by WIT including the setting up of a series of Medals and Prizes for distinguished colleagues. The most well-known of them is the Prigogine Medal established in 2004 to celebrate the work of Nobel Laureate Ilya Prigogine (1917 - 2003) which ideas are of fundamental importance to the study of many complex systems, including not only those in ecology and modern physics but also fields as varied as energy, economies and transport. Carlos ended by explaining the WIT latest courses, academic and research visits, including interchanges with many academic and research visitors all over the world. Following this A. H. Cheng explained the background to the George Green Medal. Watch an interview with Alex Cheng discussing the significance of the George Green Medal which was awarded at the conference. The first George Green Medal, Alex explained, was awarded at the 37th International Conference on Boundary Elements and other Mesh Reduction Methods held in 2014. This was a joint initiative by the University of Mississippi, in association with the Wessex Institute of Technology. The importance of Green’s work cannot be over-emphasised, particularly his development of his functions which set the basis for boundary elements. Very little is known about George Green – there is not even a picture of him and hence the Medal can only depict his windmill near Nottingham, relating to his trade. Green was totally self-taught and published a few copies of his most famous works on a subscription basis only. It is impossible to understand how George Green was able to acquire his knowledge in a backwater place of England, as Nottingham was at that time. He only had access to a local library and distributed his work around sponsors who were unable to fully appreciate the importance of his work. One of these sponsors pointed out the work to a Cambridge Don and this led to a minor appointment at that University, which he had to leave due to illness. He died shortly thereafter. His research was forgotten and only rediscovered much later on thanks to Lord Kelvin. The Green Medal was established to honour George Green and as a reward for outstanding research carried out in BEM. Alex then referred to the research career of Professor Edward Kansa who was to receive the 2nd George green Medal. After he obtained a PhD in multi-body quantum physics from Vanderbilt University, he worked at the US Bureau of Mines in Pittsburgh as a research physicist modeling coal dust fires and explosions. He moved to Lawrence Livermore lab as a physicist modeling liquid natural gas explosions, ammonia tank car ruptures and spread, earthquakes, ground water pollution spread and remediation. He became concerned that the codes he was forced to use were not faithful to the physics of the problems being solved. He abandoned mesh based methods for radial basis functions and was able to use transformations to calculate time dependent problems more accurately. Ed has numerous publications and he is renowned throughout the world for his innovative ideas. Carlos then proceeded to award the Green’s medal to Ed. Kansa. This was followed by a presentation of a framed diploma from Alex. Ed Kansa thanked the presenters for the award and proceeded to give his special keynote address, entitled “Radial basis functions: accomplishments and challenges” which was very well received by the participants. Watch an interview with Edward Kansa explaining the importance of his research and its potential applications. “BEM in free vibration analysis of elastic shells coupled with liquid sloshing” by Elena Strelnikova of Ukrainian Academy of Sciences, Ukraine. Another interesting contribution from the Wessex Institute associated company (BEASY), centred on the industrial applications of their boundary element formulation for the case of corrosion, damage growth and its consequences In crack growth. The problem of linking corrosion and fracture is one of the most challenging facing many structural components, such as those present in offshore structures, pipelines and aerospace amongst others. The Editorial Board of the International Journal of Engineering Analysis with Boundary Elements met over dinner in a New Forest restaurant serving local food. The restaurant is located in Brockenhurst, a village in the centre of the historical park, well known for the role that it played during the two World Wars when it was a major hospital site and headquarters of some of the forces to land in Normandy. The dinner was accompanied by excellent wines. Alex Cheng opened the proceedings by explaining the advances made by the Journal in the last year and asked for suggestions to improve further the publication which continues to be the focus of most innovative research on boundary elements. His words were followed by a general discussion resulting in numerous suggestions which will be followed by Alex. Lunch on the first day consisted of a lamb BBQ held in the grounds of the Wessex Institute. This gave the participants the opportunity to become better acquainted with each other at the beginning of the Meeting. The lamb served at the BBQ was locally grown and renown for its quality and flavour. At the end of the BBQ, the delegates returned to the Hotel in Brockenhurst where the Conference was held. A special guided tour to the ancient city of Winchester took place during the Conference which helped to strength the communication and led to future collaboration. Winchester was the first capital of modern Britain, which originated at the time of William the conqueror, first Norman King of England. It was also William who established the New Forest as a hunting ground, which was the National one thousand years old, in spite of its name. Winchester is famous for its Cathedral and the Castle amongst other heritage sites. The Cathedral is a vast building consisting of different styles, ranging from romanic to gothic. Its importance in English history can be appreciated by the names of those whose remains are buried in the church. It was also the place where King Philip of Spain married Queen Marie of England in a vain attempt to achieve peace between the two countries. The Castle and the surrounding area are the only reminder of the walls of the town. It is in the Great Hall of the Castle where the famous Round Table of King Arthur is displayed. Although later proven to have been of more recent origin, it is still an impressive piece of work which bears witness to the importance of the legend of King Arthur in the English imagination. There may be other ancient buildings and old traditions associated with Winchester, a town originating from a Roman settlement on which was the site of a tribal market (hence the name Winchester, derived from the Latin Venta Belgarium, the market place of the Belgians). The Conference Banquet took place in a well known restaurant in Lymington, and consisted of fish dishes, accompanied by excellent Italian and Portuguese wines. Lymington was one of the traditional ports to the South of the New Forest, now mainly used for nautical tourism. It was for many years the most important of the New Forest ports. The most beautiful part of Lymington is its wide high street and the numerous Georgian houses surrounding it. That street is where the traditional Saturday market still takes place. At the bottom of the high street is a lane leading down to the port where there are many beautiful cottages, many of which are now restaurants and tourist shops. Lymington was well known until the end of the XIX Century for its salters which were a major industry, started in medieval times. After dinner, Carlos offered the participants a piece of pottery specially commissioned by the Institute for its visitors. The ceramic pieces were fashioned by a local artist and are small works of art in their own right. Carlos ended by saying that he hoped the gift would help to remind the delegates of the time they spent at BEM38 in the New Forest in 2015. Carlos closed the Conference, thanking all delegates for attending, and said he hoped they would be able to participate in the forthcoming 39th BEM/MRM Conference to take place in the renowned Centro di Pontignano of the University of Siena, from 20 to 22 September 2016. He also said he hoped that the delegates would keep in contact with the Wessex Institute of Technology and visit Ashurst Lodge when they are in the region. In addition, WIT Press invites all presenters to submit a paper to the International Journal of Computational Methods and Experimental Measurements. Papers from the conference will also be hosted online at the WIT eLibrary in Volume 61 of WIT Transactions on Modelling and Simulation (ISSN: 1746-4064 Digital ISSN: 1743-355X). For more details visit the WIT eLibrary at http://witpress.com/elibrary.